Pure design, art and capacity in one bag. Before USD 0,00 IVA Inc. 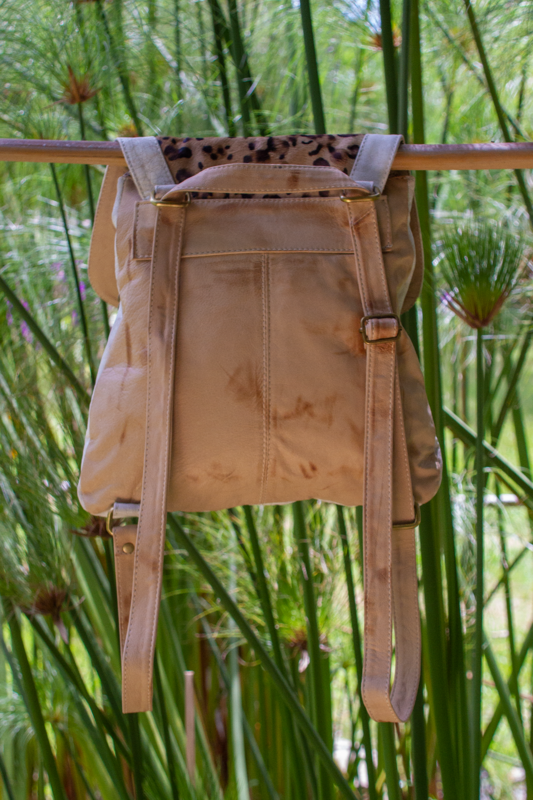 Elegant, extra soft leather backpack . Combination of leathers and textures. Don´t miss the chance to glow! Perfect size and practicity combined with design. Handpainted art on pockets. Fully lined with Carolina's designed pattern fabric. This is a 100 % finished top quality, handmade selected bovine leather. - Metal hardware in the greatest quality, and YKK zippers. - Top zip closure, two outer pockets with magnet, three with zipper, one large inner pocket. - Key holder string and cell phone pocket inside. 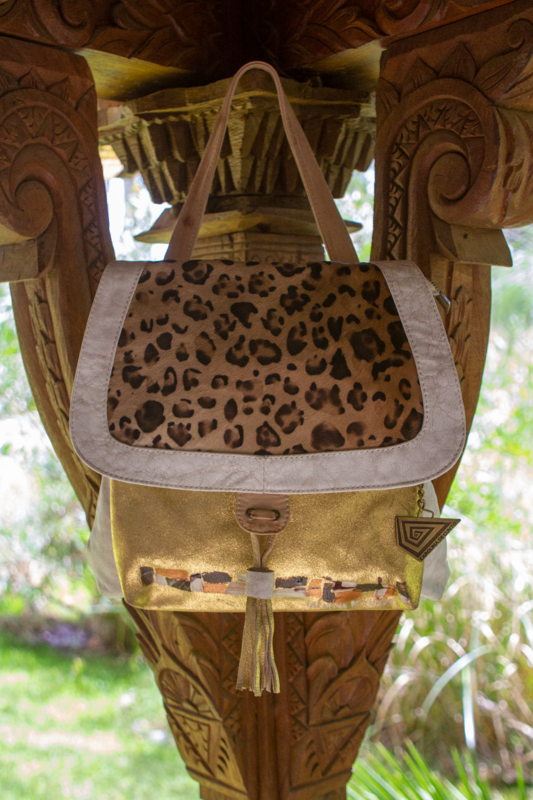 - Available color: Ivory and gold leather with tan patina. Animal print design calfskin. Art detail on front. 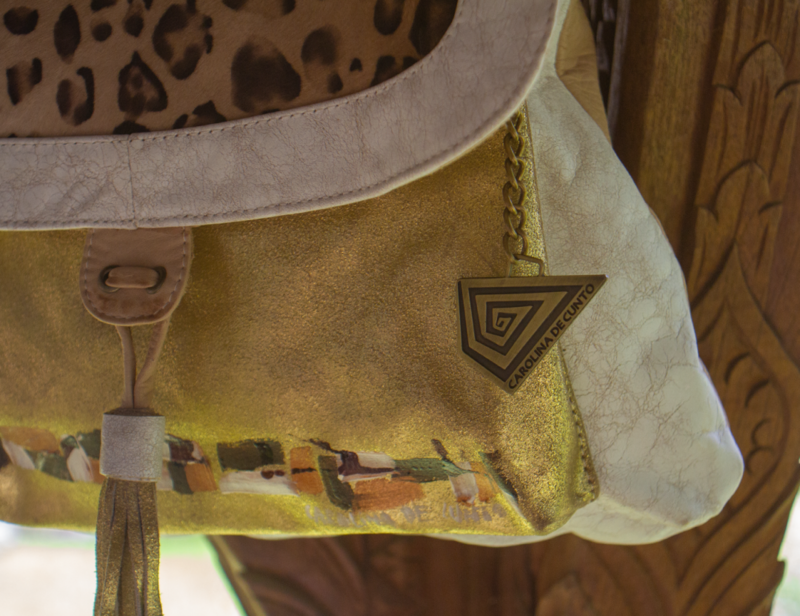 The Carolina De Cunto monogram in metal is our quality signature of a handmade bag Made in Uruguay. Note: All our products are made in selected finished bovine leather, with the best available quality materials and techniques. YKK zippers and the best metal hardware make our product one of the kind top quality leather product, a long lasting wearable piece of art...I put my signature on! Handmade high quality leather products MADE IN URUGUAY.